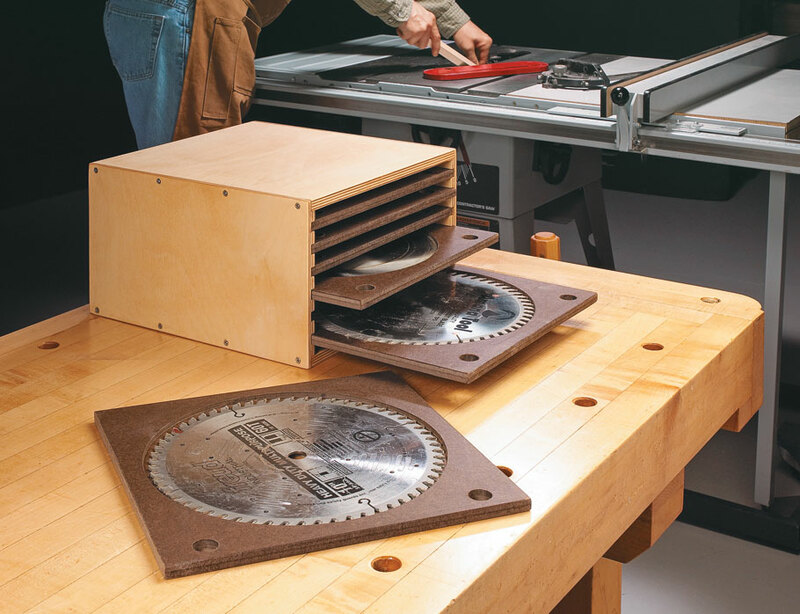 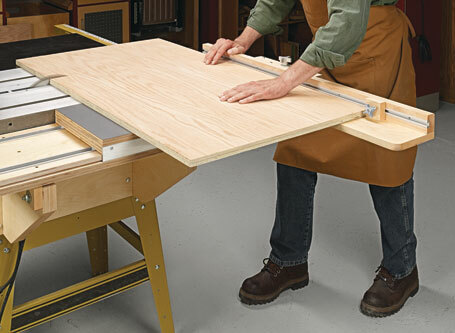 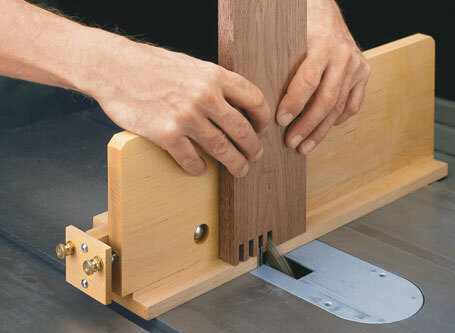 Finding a place to store all of the saw blades for a circular saw, miter saw, and table saw can be a problem. 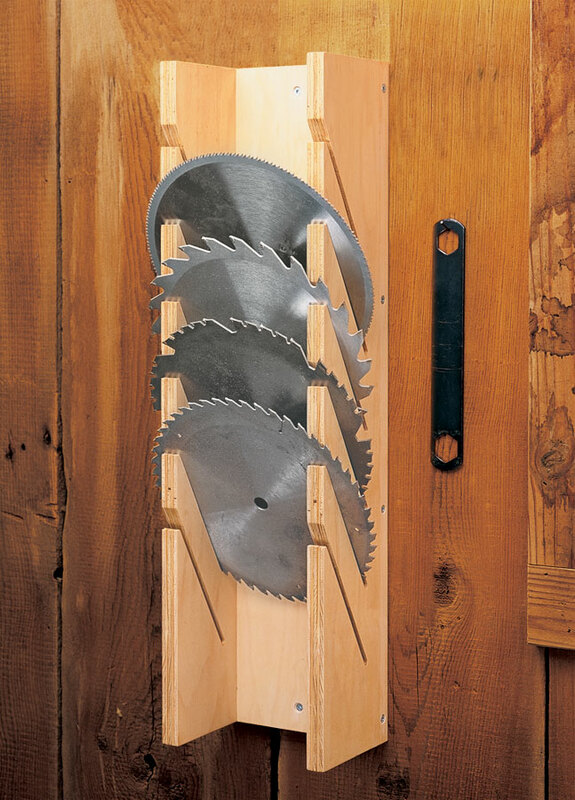 You needed to find a way to store them in an organized fashion and protect the carbide teeth from chipping. 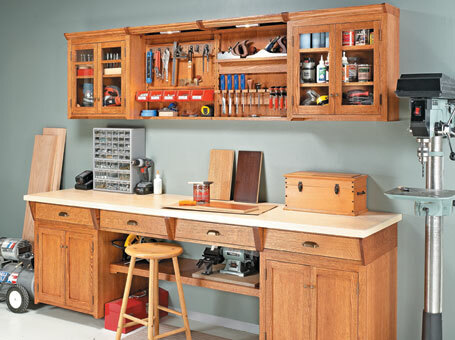 The blade storage cabinet in this plan is a great way to do that. 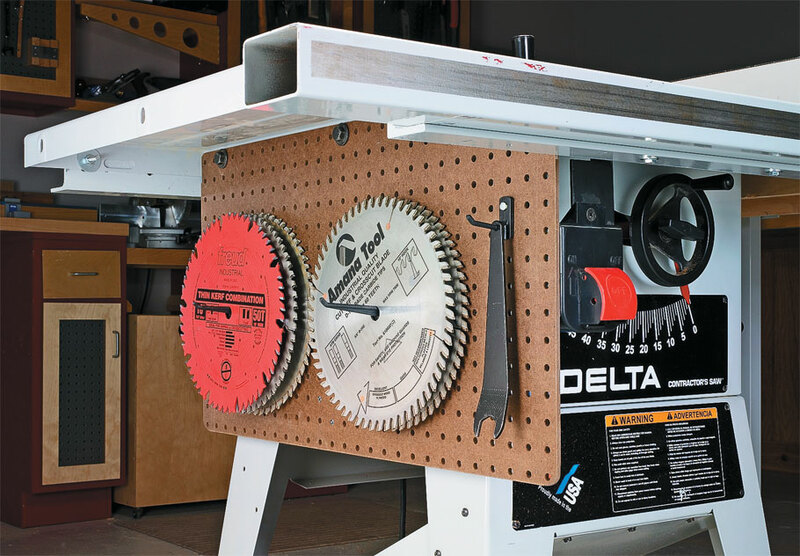 The pull-out trays store a number of blades in a small space. 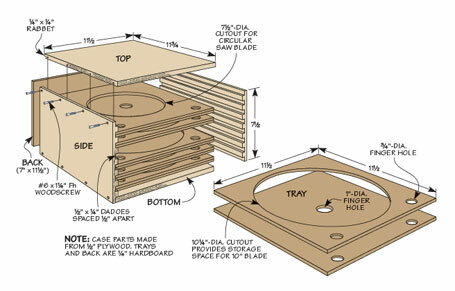 And the blades nestle in custom cutouts in the trays to protect the teeth.